The Project: In 2009, Digital Wish launched the School Modernization Initiative, a one-computer-per-child initiative in 28 schools, directly providing 79 teachers with curriculum and training, and 1,294 students in grades 4-6 with computers. 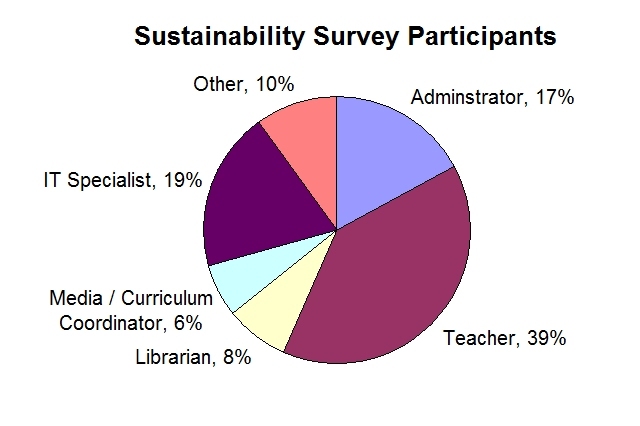 After the first year of implementation, the schools hit a stage where they were comfortably absorbing the change and started asking questions about sustainability. The A. D. Henderson Foundation commissioned Digital Wish to study how schools are sustaining their technology initiatives, and develop free resources that would model best practices. We asked how they sustain their technology initiatives. About the Survey: The survey data was collected through anonymous surveys conducted on www.surveymonkey.com. The data collected here shows anecdotal trends, self-reported by technology leaders who volunteered to participate in the project. Digital Wish does not conduct formal research, nor do they make any conclusive research-based claims. About Digital Wish: Digital Wish brings technology to American classrooms in order to prepare students to thrive in the global economy. At www.digitalwish.org, teachers make technology wishes, and donors make those wishes come true with contributions, bringing technology to needy classrooms in all 50 states. Since August 2009, Digital Wish has granted over 29,800 classroom technology wishes through its online network of over 60,000 teachers, and delivered over $12 million in technology products to American classrooms directly impacting over 500,000 students. Read our research.